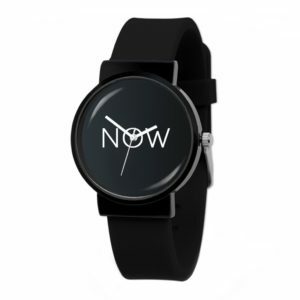 Beautifully designed Now Watch – black color. Wear always a wristband that will remind you that the only real life happens here and now. Watch does not contain battery and pointers, it simply points to the essence of life – NOW. Wear always a wristband that will remind you that the only real life happens Here and Now. Please keep in mind that it’s a mindfulness reminder – a bracelet – imitation of a watch. It does not show time. It simply shows that time is an illusion. 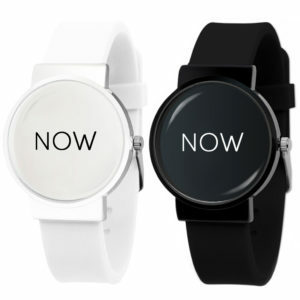 Watch does not contain battery and pointers, it simply points to the essence of life – NOW. Water resistance – don’t bath / swim / watersport wearing the watch. 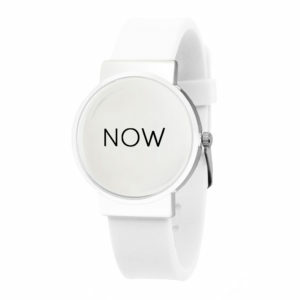 THE TIME IS ALWAYS NOW – Practice mindfulness and live in the present moment with the Now Watch! 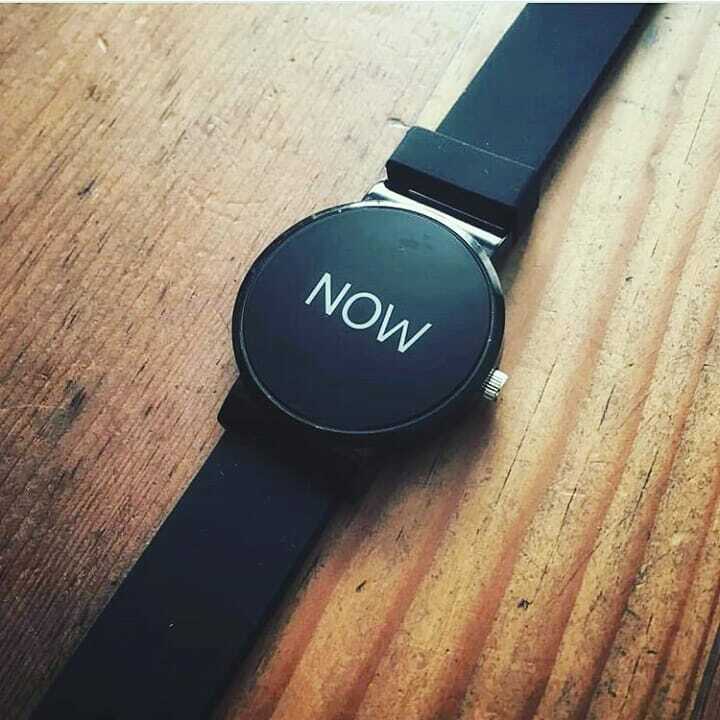 This fun and unique watch makes it easy to be mindful in the day-to-day, increase positive energy, and feel gratitude for every moment. Great for a present / gift for a person that likes yoga, practice mindfulness, does watersports like surfing or kitesurfing. Also very popular among travelers. Whoever looks for a bracelet, wristband, any wearable or a mindfulness reminder – would be happy to receive that gift of presence. 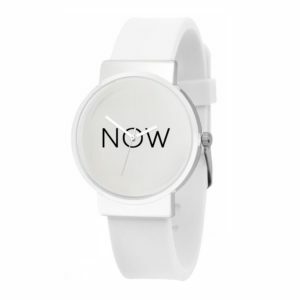 BE IN THE PRESENT MOMENT – This watch has no clock movement – only the word “Now” clearly visible on the face to bring your awareness back to the present moment. This is a great compliment to your yoga or meditation practice or a stylish accessory for everyday wear.